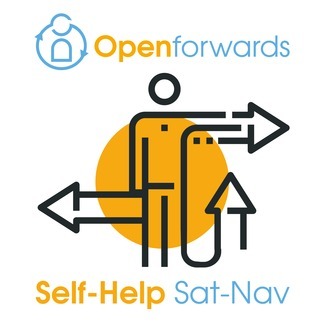 Welcome to Self Help Sat Nav, the podcast show where we talk about the best self-help tools for getting the most out of your relationships, work, health and well-being. I am your host, Jim Lucas, behavioural therapist and specialist in well-being and evidence-based practices. 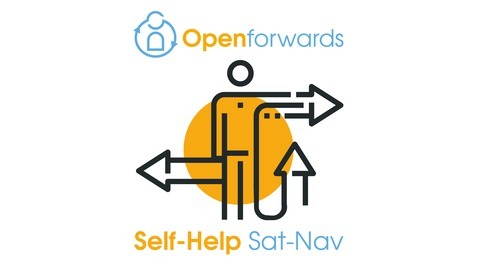 For more information about the therapy, ebooks, online courses and specialist ACT training and supervision we offer, head on over to www.openforwards.com. I am speaking with a blog writer, an author and founder of #365daysofcompassion, which is an online global community of people sharing thoughts, reflections and information about compassion and well-being. With a particular emphasis on compassion focused therapy and compassionate mind training, this champion of self compassion has created an amazing online space for people to come together, to be open, vulnerable and courageous. I first met him online a couple of years ago when he began sharing his blog posts about his experience of living with depression. We later got together to create and publish an ebook, called the Five Self Compassionate Ways to manage depression and boost your wellbeing. I know he is a much respected human and contributer to the development of self-compassion worldwide. His name is Chris Winson. People can follow Chris personally on @chisi_98 on Twitter, and also the @365daysofcompass account which collates all the tweets that people share under the hashtag, along with sharing the weekly Review online newspaper. The monthly book club can be found via @365daysBookClub. The post #29 Turning your inner critic into your supporter with self compassion appeared first on Openforwards: Birmingham CBT Psychology Service for anxiety, depression & work-related stress.